A 38-year-old Banket man was fined $100 or three months in jail for domestic violence after he assaulted his wife for refusing to cook meat. 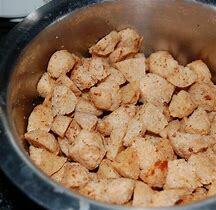 Innocent Mukati became furious when his wife Charmine Bangawa cooked soya chunks instead of meat. Mukati told Chinhoyi magistrate Letwin Rwodzi that his wife refused to cook the meat he had brought home as she had already prepared supper with soya chunks. The abusive man said he had bought enough meat to last two days. In another domestic violence case, Rwodzi sentenced David Zhuwaki (42) to three months imprisonment for beating up his wife. According to a medical report presented in court, Patience Zhuwaki sustained a swollen face and fractured left arm after the assault.